Re-amping is the process of recording the pure signal from instruments like bass or guitar into the DAW and then send this signal to stomp boxes and/or amps. This turns your guitar amp or guitar rack into a real life plug-in. And it could save you time and money once the final mix-down has started and you find out that you are not happy with the guitar sound recorded previously. Instead of playing the same parts over and over again, until the sound is as you want it for the mix, you could record your guitars quietly into the DAW. Once everything is played to your satisfaction, you just blast it out to the real world and make it fit to your mix. Another benefit for home recordists is, that loud guitar parts could be cut any time during the night and re-recorded with full amp sound while your neighbors went to their jobs. Or go to a professional recording studio an do it there. Some might say that it feels odd to play for e.g. heavy metal riffs with the direct guitar sound. No doubt – it would so. In this case the help of a guitar plug-in in your DAW or a POD PRO by Line6 would be the solution. Plus you should record the emulated sound parallel to the raw signal for the feel of it, while working on other tracks of your song. Once I had to play the guide tracks for 12 songs of mine, with a boring click (THX Kai), before the drummer came in and I did it with the unworked sound of the guitar – which was a real pain in the A. Since passive pick-ups supply an unbalanced load with high impedance, a Passive DI (Direct Injection Box) is needed to match the low impedance, balanced line-level input of your DAW. The advantages of a passive DI’s is that there’s no need for supply voltage as the DI’s galvanic isolation avoids hum and other unwanted noises in your signal. Make a long story short here’s how to do it. Now, all you have to do is to mic the guitar cabinet and re-record the new sound to your DAW. It’s easy like that and saves someone’s money on specialized re-amping boxes. Listen to ´Are You Gay?’ in this song all guitars are recorded this way, sending the pure tone to real Marshall’s. 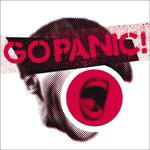 Also check ´Waking Up` by Go Panic! another production of mine. Here I sent the piano in the Choruses and the Break Down to a distorted Marshall Amp. Today, as I’m listening to the album for the second time, I made up my mind of what my favorite songs are. Go Panic! counts down until the digital re-issue of their debut EP, on November/16/2009. “Big Man” by Go Panic!